CAPE is collaborating with the BC Parks Foundation on their Healthy By Nature initiative, which promotes the health benefits of connecting to nature in our everyday lives. 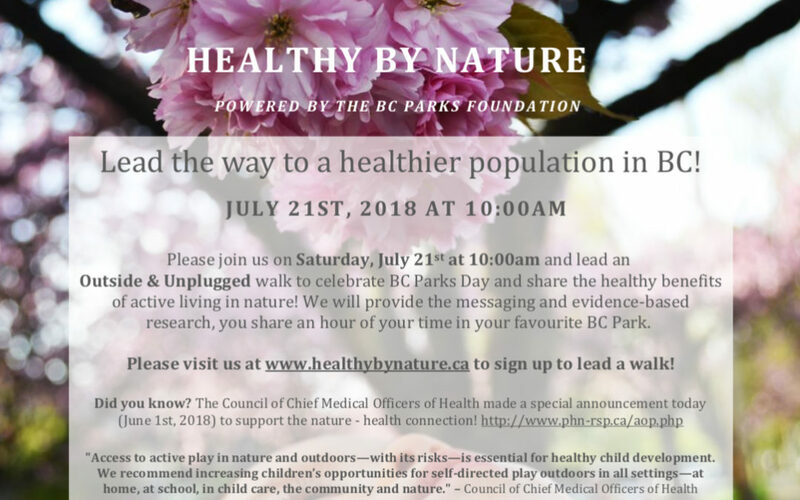 This summer, help us celebrate BC Parks Day on Saturday, July 21st and join us to launch #healthybynature with our Outside & Unplugged walks happening all over the province. Health care professionals will be leading walks in BC Parks, sharing their knowledge and love of nature.